LED Recessed Downlight that we offer is used in diverse industrial segments for applications such as for lighting at airports, home, restaurants, hotels, offices and many more. We make sure that every LED Recessed Downlight that we provide goes through a stringent check at the time of production as well as packaging. 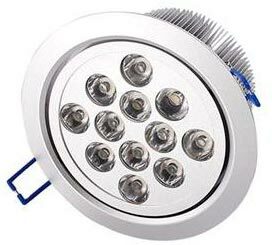 We are capable of taking up bulk orders of LED Recessed Downlight.